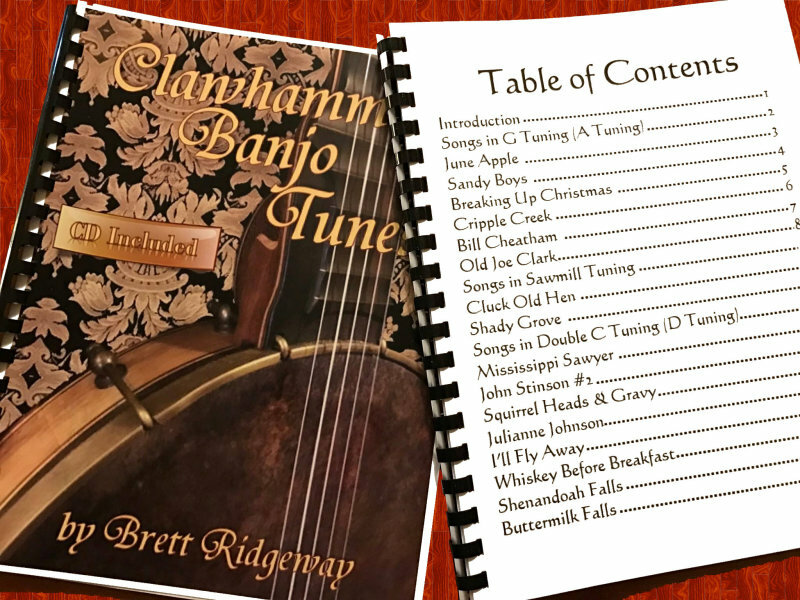 Brett's new clawhammer banjo workbook includes 16 clean-tab tunes, as well as helpful tips on playing and tuning your banjo. In addition to the book, you will receive a CD, which plays each of the tunes (just as tabbed) at a slow-to-medium speed. Some tunes also include variations to help you mix up your playing a bit!